We left Tucson in the morning, and by the early afternoon we were entering Joshua Tree National Park. 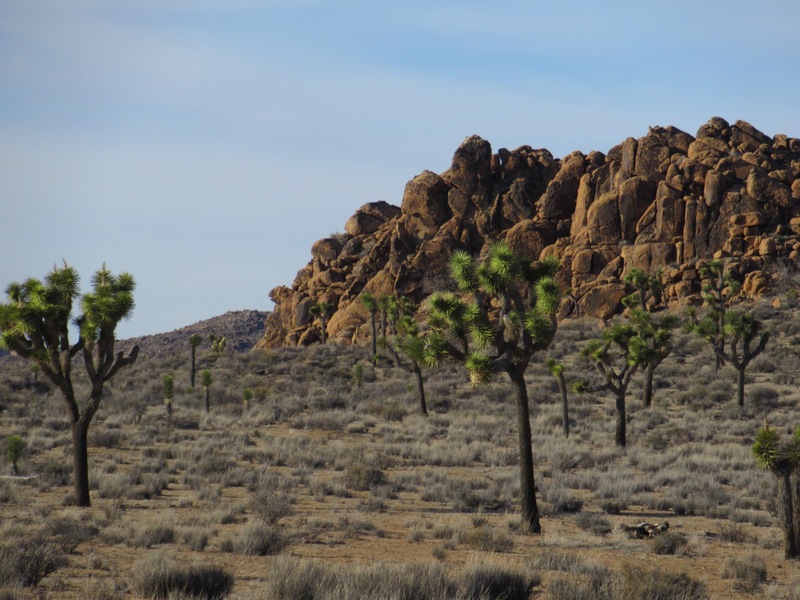 While we could have hiked in the park, since we already spent many weeks hiking through the Mojave and in Southern California along the Pacific Crest Trail this year, we decided to just sightsee from the car. The southern part of the park consists of the low Colorado Dessert, which is the ideal habitat for the plant below. 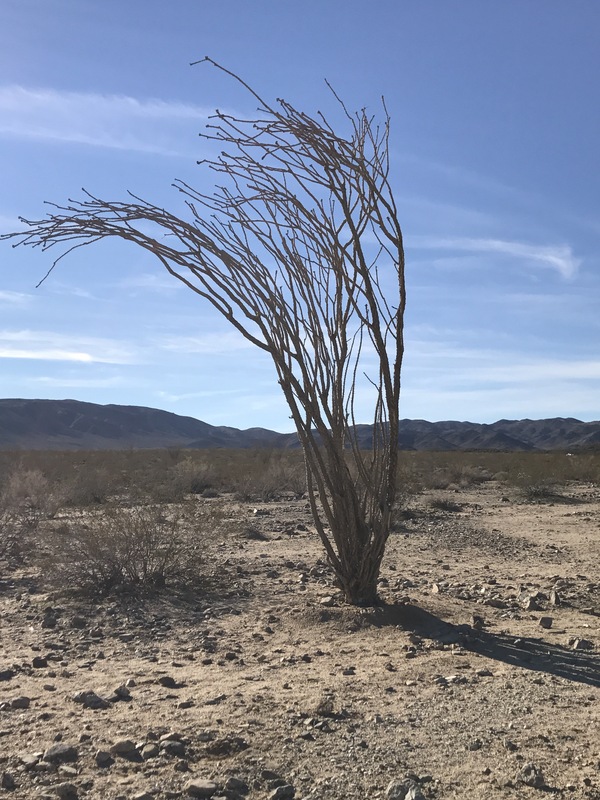 This rather mundane looking plant is the Creosote Bush. It is friendly to neighboring plants when times are good, but when drought occurs it releases an herbicide to fight off other plants competing for water. It also favors propagation via vegetative cloning over traditional reproduction. Scientists estimate that some clones alive today can be 9,400 year old, making it the oldest living organism on the planet. 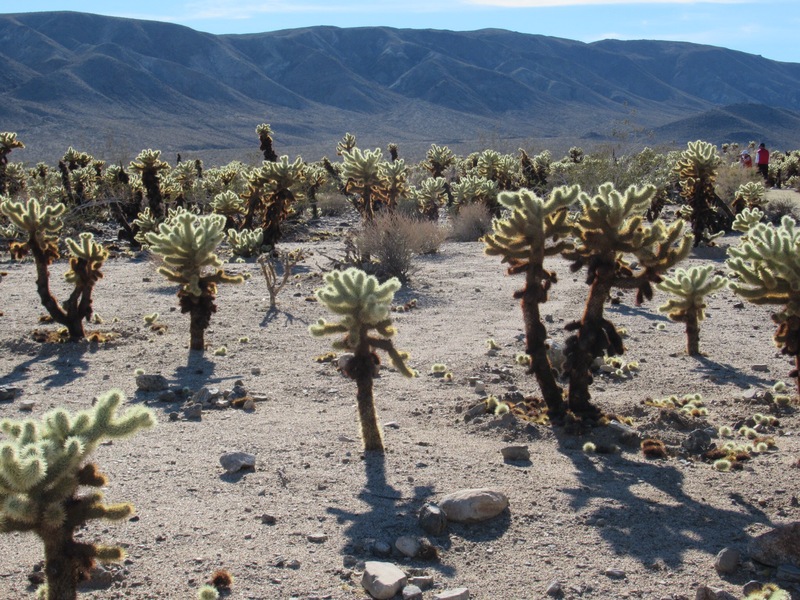 Another Colorado Dessert inhabitant is a variety of cholla, referred to as a teddy bear cholla. Despite its cute moniker, it’s barbed spines are notorious hard to remove from skin and clothes. As we progressed northwest through the park we passed out of the Colorado Dessert, and into the higher Mojave Dessert and its iconic Joshua Trees. 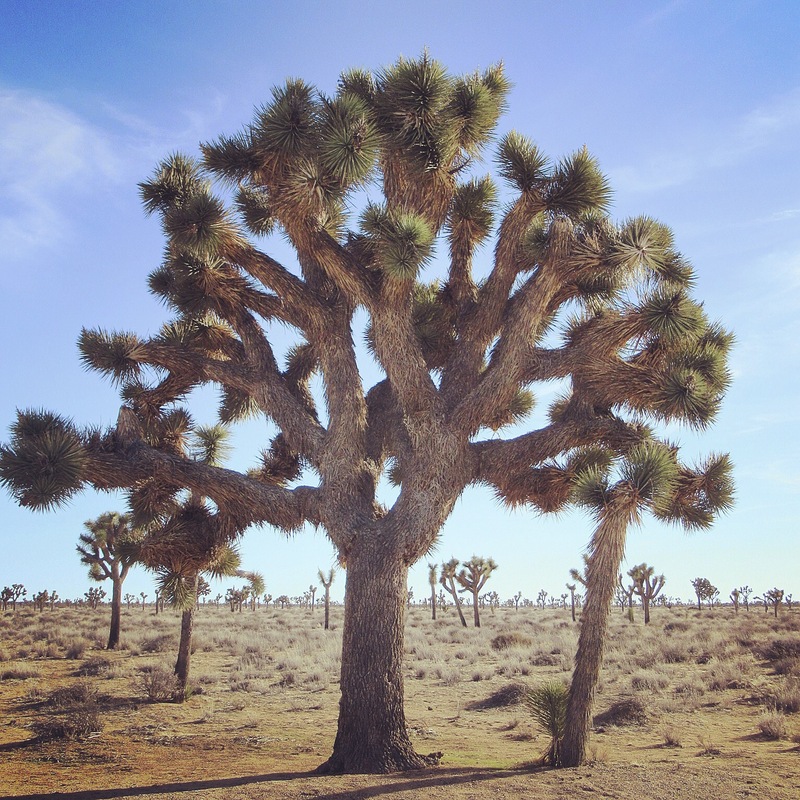 We had seen some Joshua Trees while hiking through the Mojave this spring, but nothing of the magnitude that we saw in the park. 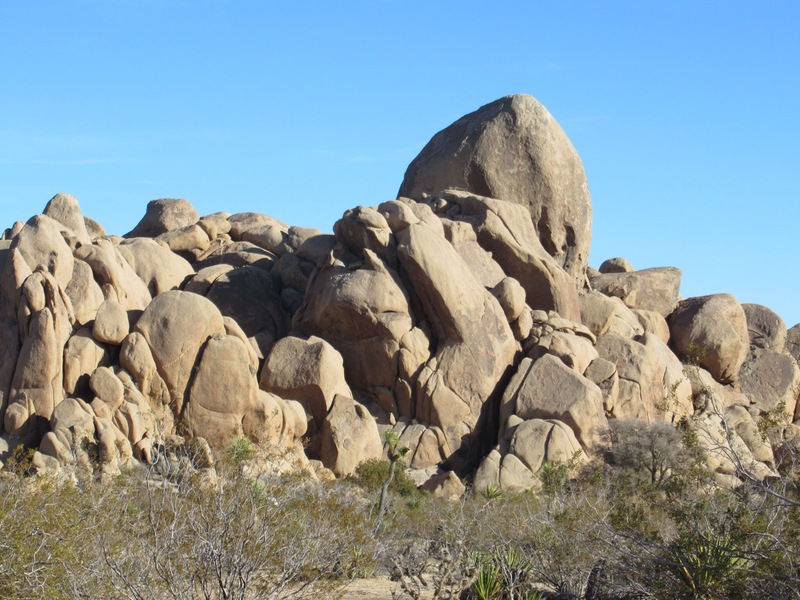 Another striking feature of the park that I wasn’t aware of was the dramatic granite rock formations that look like a giant child was playing with boulders. We had a fun afternoon seeing what could be seen from the road, which was surprisingly a lot. 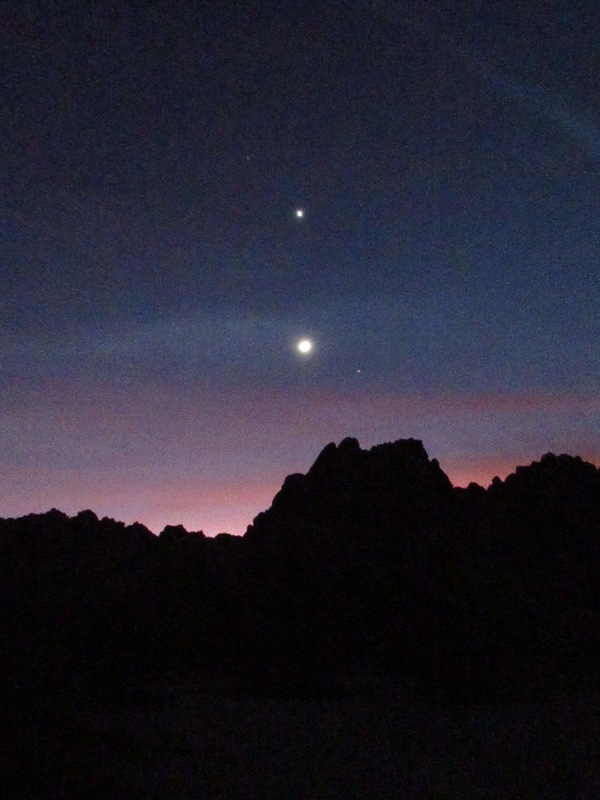 We found plenty of campsites this time in one of Joshua Trees many campsites, and set-up camp just before sunrise. As the sun set we heard coyotes howling in the distance and enjoyed whatching the colors develop and then disappear over the dessert. You and Garrett have had an amazing period of travel and exploration. I’m so happy that you’ve had this opportunity. We are grateful for every moment of it.